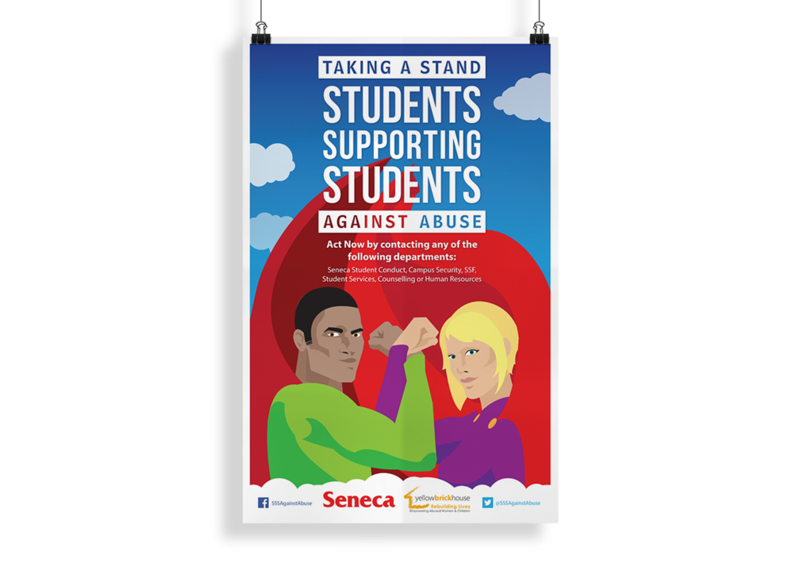 My studies in Graphic Design at Seneca college involved a case study, which was completed in a small team of three, along with Yellow Brick House and Seneca College to campaign and raise awareness of against sexual abuse on campus. Creating a uniform concept that would be agreed upon in both college and charity parties which would be providing a viable solution while raising awareness proved to be a challenge as there were a wide variety of approaches yet only a few solutions that would prove to be more successful. 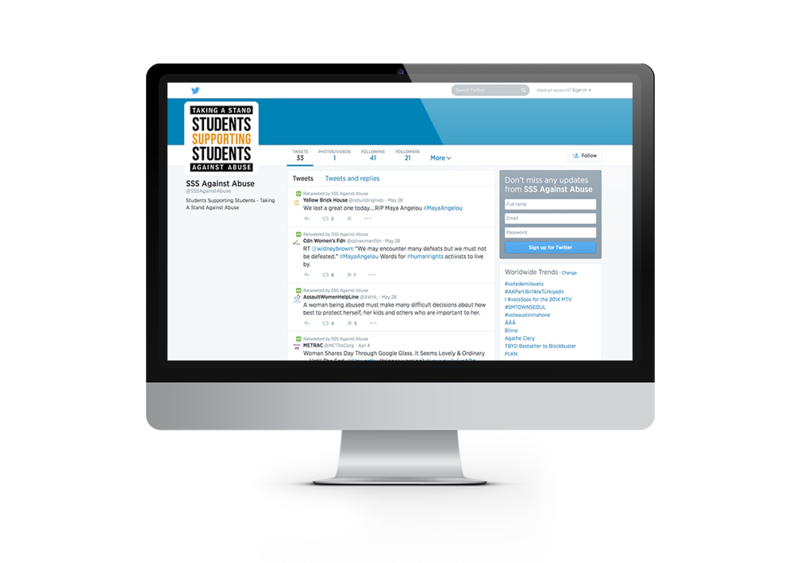 Through victim analysis, studying a consortium of student cases and speaking directly with other students, we were able to determine that more responsibility should be directed towards other “Students Supporting Students”, thus the creation of our campaign “Students Supporting Students Against Abuse”. 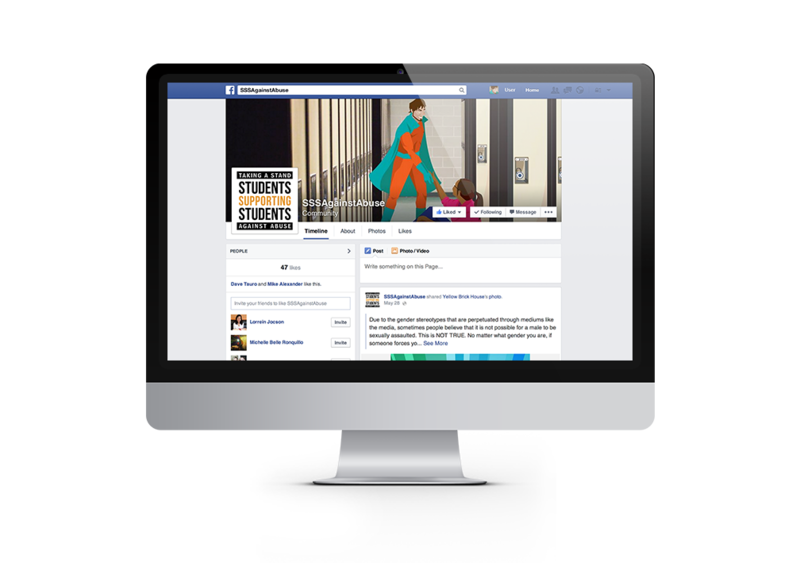 Putting responsibility back onto other students to care for one another proved to create a stronger student community and thus a safer and more supportive campus.